Dr. Thomas J. Lee, M.D., M.H.S. Dr. Tom Lee is the Chair of the Board of Community Partners International (CPI), a Clinical Professor of Emergency Medicine at UCLA, and an attending physician at Antelope Valley Hospital in Lancaster, California. Dr. Lee co-founded CPI (then called the Global Health Access Program) in 1998. He has inspired the support of his colleagues at UCLA and other institutions working in Myanmar, and has galvanized support for Myanmar through advocacy and publications, addressing topics including infectious disease, reproductive health, and the impact of human rights on health. In March 2010, he received the International Public Health Hero award from UC Berkeley’s School of Public Health in recognition of his work in Myanmar. In addition to his focus on Myanmar, Dr. Lee’s humanitarian service has included providing village health care in a conflict zone of El Salvador and providing care at various free clinics in the United States. 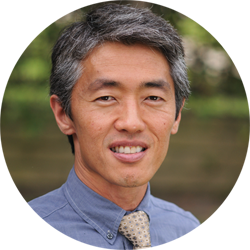 Dr. Lee received a medical degree, with honors, from the UCSF, an MHS from UC Berkeley, and a BS from Stanford University. He did his residency training at Harbor UCLA Medical Center, and an Emergency Medicine Research Fellowship at UCLA Medical Center. Dr. Lee lives in Los Angeles with his wife, Grace, and two children, Jonas and Eleanor.